Through our enterprise we are fortunate to have a cross section of our own farms, giving us geographic diversity in production. 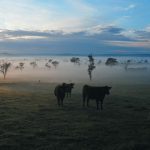 Add this to the locational diversity of our Angus stud clients and we have a unique ability to source cattle from our stud clients at all times of the year. Hillgrove is a part of the original farm that was purchased by the Burton Taylor family in the early 1980's. 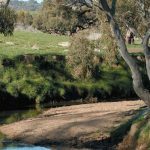 It is where the family grew up and is home to the Kenny's Creek Angus Stud of registered stud cattle and the prime lamb breeding operation. Breakfast Creek is a huge grass factory which is the base for our southern commercial herd of primarily Angus cattle. Soft rolling hills with an abundance of improved pastures. 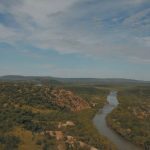 West of Chillagoe in Far North Queensland this remote station borders the Mitchell River and is predominantly for breeding northern type cattle crossed with Angus. Neighbouring Nychum Station, Bellevue is the heifer base for the cattle breeding in Queensland. 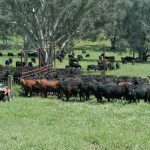 Improved fencing, water, pasture and Angus genetics has enabled this station to flourish in the last five years. The home of Sam and Nikki and their growing family. Badenville is used as a finishing farm for Angus steers and heifers from May to December each year. 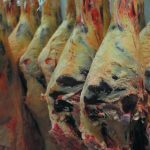 Established in 1933 on the North Coast of New South Wales Cassino is a co-operatively owned service provider specialising in the processing of beef to markets all over the world. 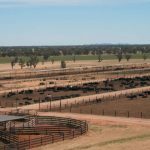 A 5,000 head capacity feedlot in central New South Wales which specialises in mid fed Angus beef. 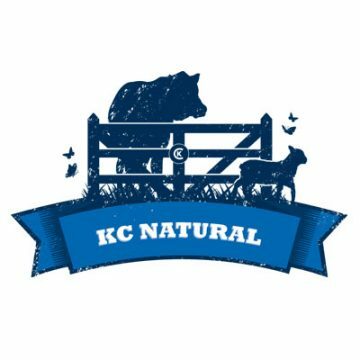 "KC Natural benefits enormously from the diversity of its own farms from the high rainfall country in southern New South Wales through to the tropical farms in Far North Queensland. 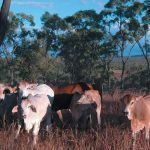 Add to this the diversity of our stud clients and we are able to source cattle from all over Australia."